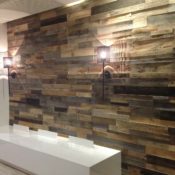 Patent Pending Prefabricated Reclaimed Wood Wall Panels. Each panel covers 4 square feet, making installation fast & easy. 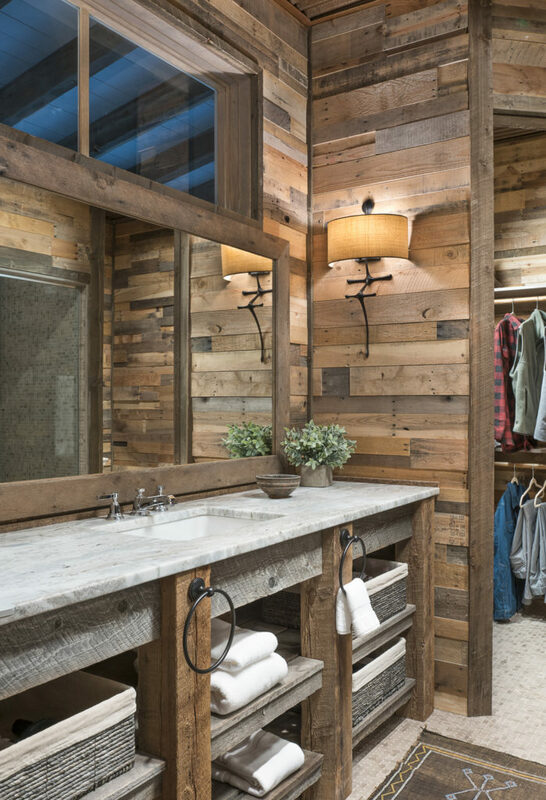 Our Pre-fab Wood Wall Panels are produced from reclaimed wooden shipping pallets. 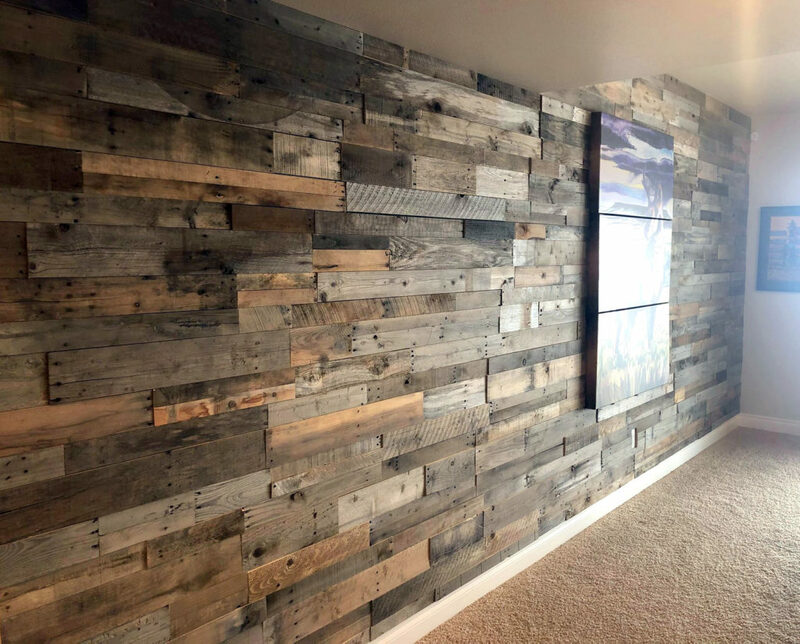 Every recycled and reclaimed pallet wood wall panel is dismantled, cleaned, defected, prefabricated, and graded to our 99% usable prefabricated panel specifications. Every board has a story; whether it sailed around the world viewing sites we only dream of, or traveled on a train, site seeing the most remote areas in the U.S.
Prefabricated 4 square feet interlocking panels, fit together much like a puzzle piece. Perfect for the do-it-yourselfer or large scale commercial project. Quick, clean, and easy installation. 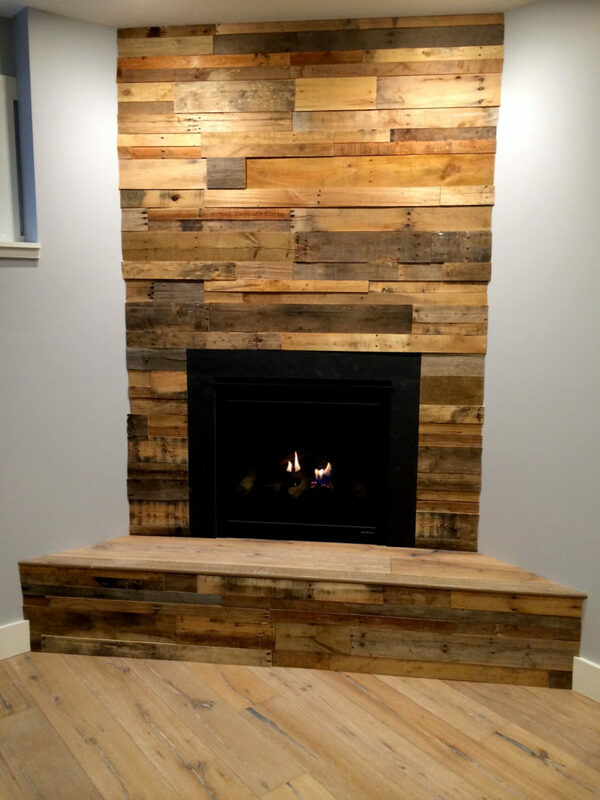 All Natural Pallet Wood – Recycled mixed species pallet wood, contains no stain or sealer. 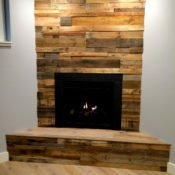 FINISHES – All natural, contains no stain, paints, or sealers. 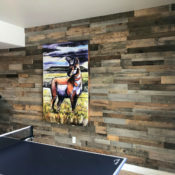 DISTRIBUTION – Factory direct shipping anywhere in the U.S.
DISCLAIMER – This is a natural wood product. Color, texture, grain, and sheen will vary from board to board.